March Newsletter | People for People, Inc. I wanted to thank you for your interest in keeping up with all that God is doing through your support at People for People. Because of all the programs, it’s never a question of yes or no but which one interests you the most? And with all the madness of March it’s a great time to review the season and renew our commitment as to why we’re here in the first place. I first came to Chester, PA for the Philadelphia Eagle’s training camp in 1976 and by the first time I knelt in the end-zone in South Philly, I knew God had called me to this city. In 1982 I accepted the call to pastor Greater Exodus Baptist Church. On the verge of bankruptcy and with $32,000 in utility bills, it may not have been the best “career” move but I knew God was moving me. With a vision to break the cycle of poverty and create self-sustaining lives for our residents I founded People for People in 1989. As you and others have joined in supporting my vision we have continued to bring education, mentoring, entrepreneurship, and property renewal to North Central Philadelphia for 30 years. Together, WE can change lives! As we move forward I know you’ll stand with me in special projects, golf outings and gala gatherings but I need you to consider adding a monthly gift as part of your support. As I think back to that first $32,000 debt it’s humbling to think that I could now ask someone to consider a $32,000 gift to establish a Legacy fund. My jersey #32 won’t raise much money but joining Club#32 will help secure the legacy of People for People for many years to come. You may find more ways to provide sustainable gifts by asking my Vice President for Development JCarroll@peopleforpeople.org. 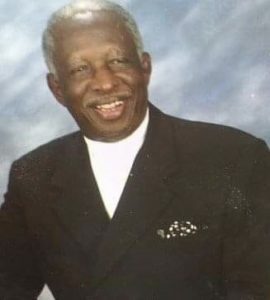 PS Thank you for sharing your love in the passing of my father, the Reverend Dr. Herbert H. Lusk, Sr.